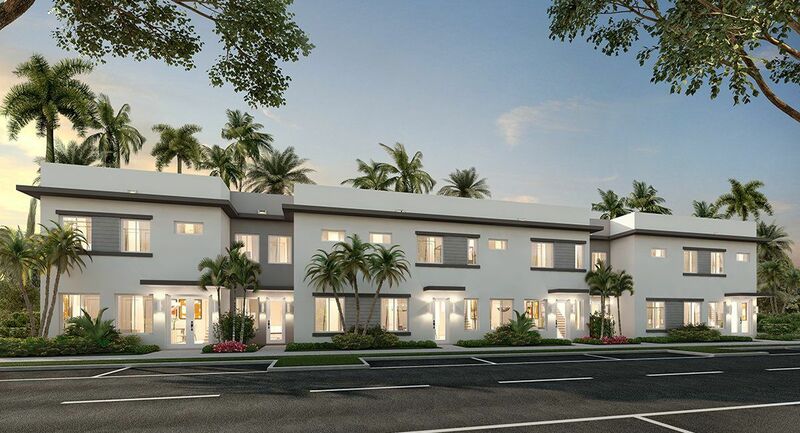 Discover Doral’s newest “Cosmo-Chic” community, which offers contemporary style condos, and two and three story townhomes, many featuring unique rooftop terraces. Landmark offers ultra stylish, luxury interior appointments and open floor plan designs to compliment today’s contemporary lifestyles. An expansive community clubhouse with fitness and resort-style pool is part of this vogue setting. Landmark is located in the heart of Doral where residents can enjoy the benefits of on-site amenities, nearby schools, shopping, dining and the famed Trump International Resort and Spa. Each home will feature Smart Home Technology with activation and support by Amazon and voice control by Alexa, delivering connectivity, and convenience. Lennar’s Everything’s Included® experience ensures that you don’t have to compromise on luxury features.